Alush Alowi, 4, of Syria, stands in the doorway of a condemned school in Athens, Greece where he and his family have been squatting for the past 2 months. 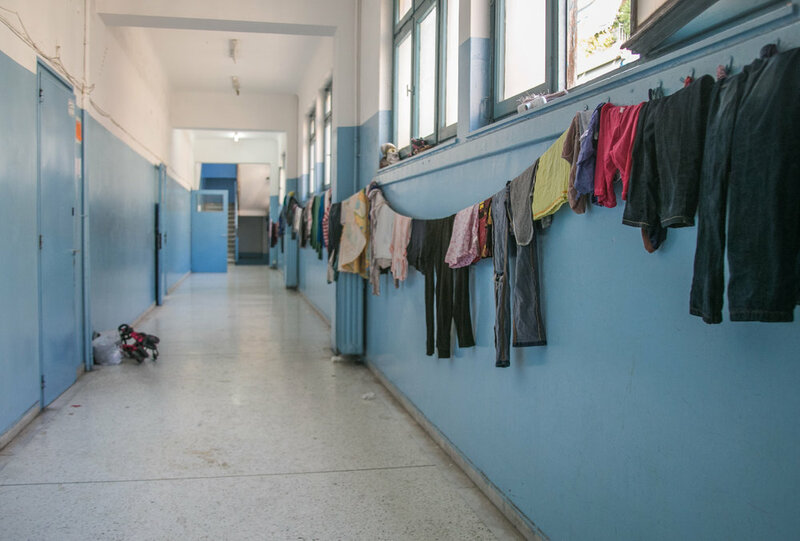 The school houses over 400 refugees that are trapped in Greece after the majority of European countries closed their borders. The massive squat is run by the refugees for the refugees. This style of living is a viable alternative to the overcrowded/underfunded camps, and restores some of the basic human rights these individuals lost after leaving their home countries. This independence is directly correlated with an absence of racial tensions, and violent outbreaks. 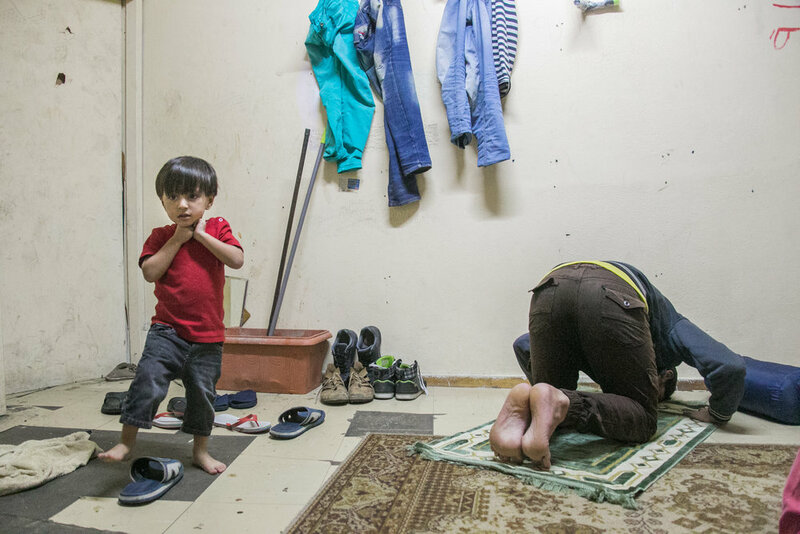 While condemned buildings are not the solution, these spaces temporarily give migrants a safe place to call home until they are approved for asylum. 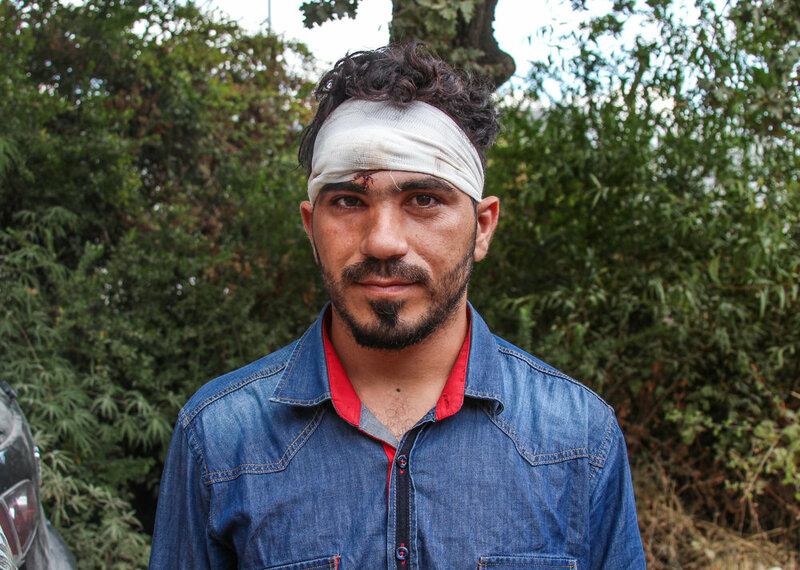 A Syrian migrant sports fresh bandages after allegedly being beaten by Greek police in the Moria Refugee Camp. Countless others were also injured in a riot that destroyed over 60% of the facility. The riots were initiated by refugees due to internal racial disputes and the endless delay in immigration processing. 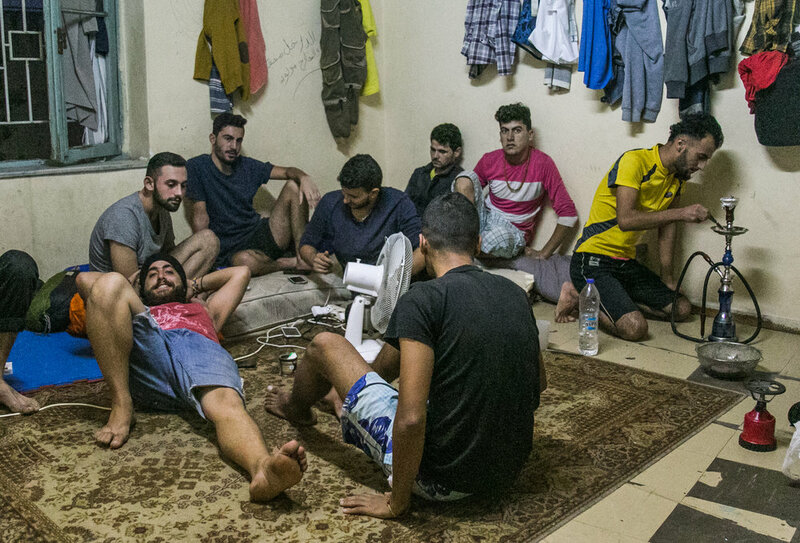 "We don't want their food, we don't want their water, we just want to leave," one Pakistani migrant said. This entrapment is far from over, with the majority of European countries refusing to accept refugees at this time. 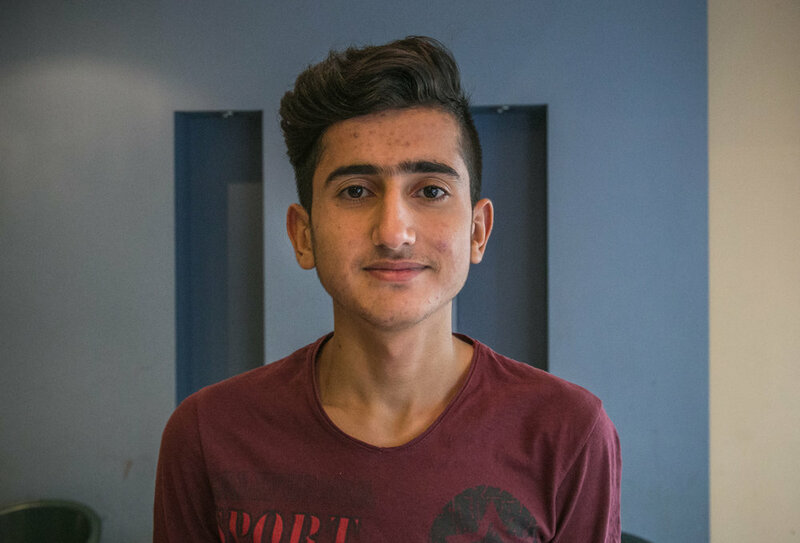 "We left our countries to escape war. Now we are forced to live like this," an injured Nigerian migrant explained. Children play ball amidst burnt tree trunks caused by a riot the night before. 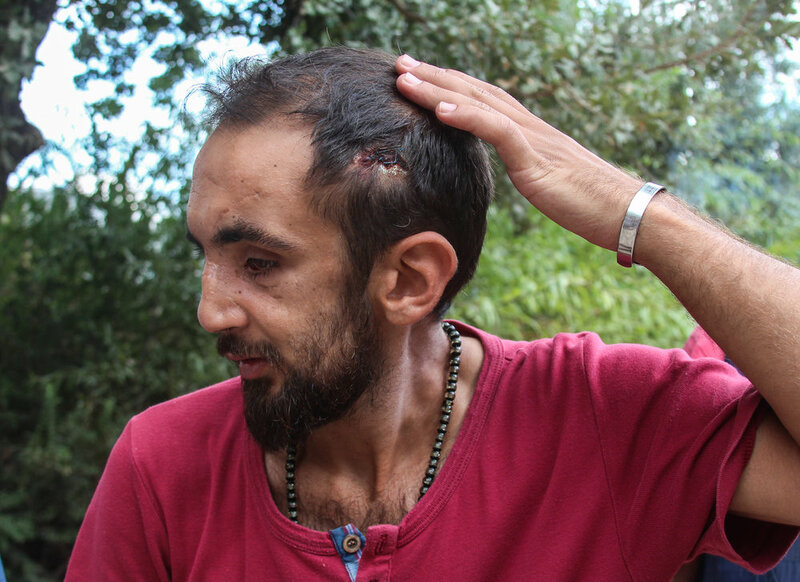 A Syrian migrant shows his wounds after allegedly being beaten by Greek police in the Moria Refugee Camp. Countless others were also injured in a riot that destroyed over 60% of the facility. The riots were initiated by refugees due to internal racial disputes and the endless delay in immigration processing. 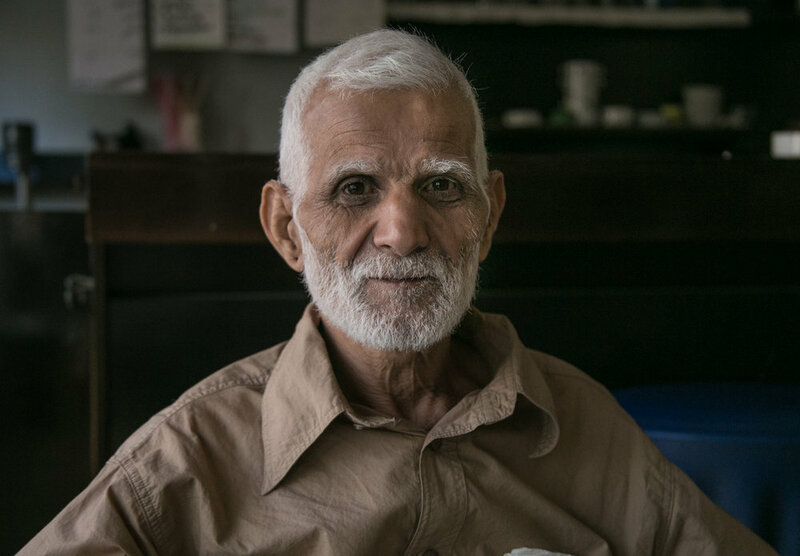 "We don't want their food, we don't want their water, we just want to leave," one Pakistani migrant said. 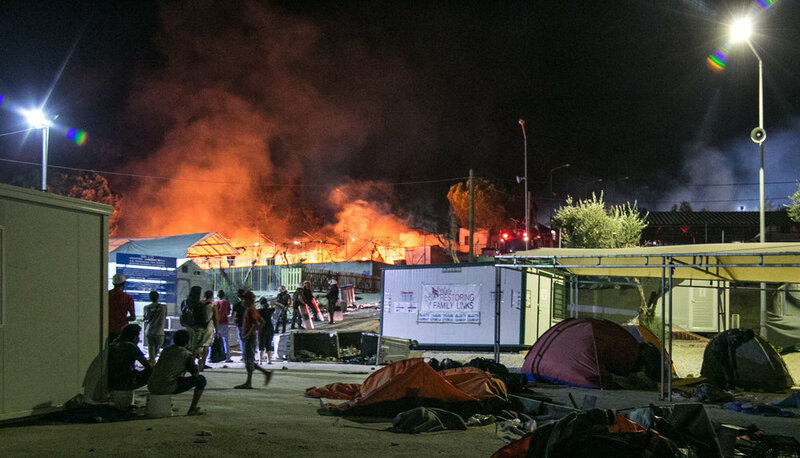 This entrapment is far from over, with the majority of European countries refusing to accept refugees at this time. "We left our countries to escape war. 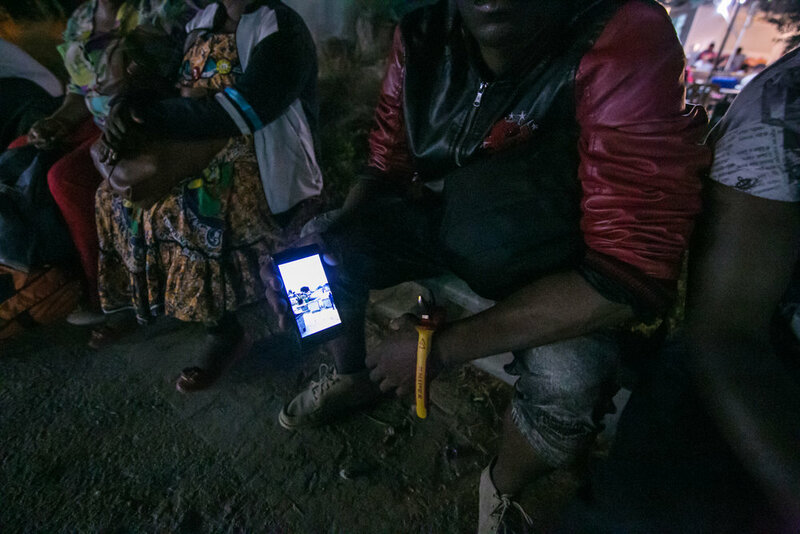 Now we are forced to live like this," an injured Nigerian migrant explained. Food with dirt and mud in it. 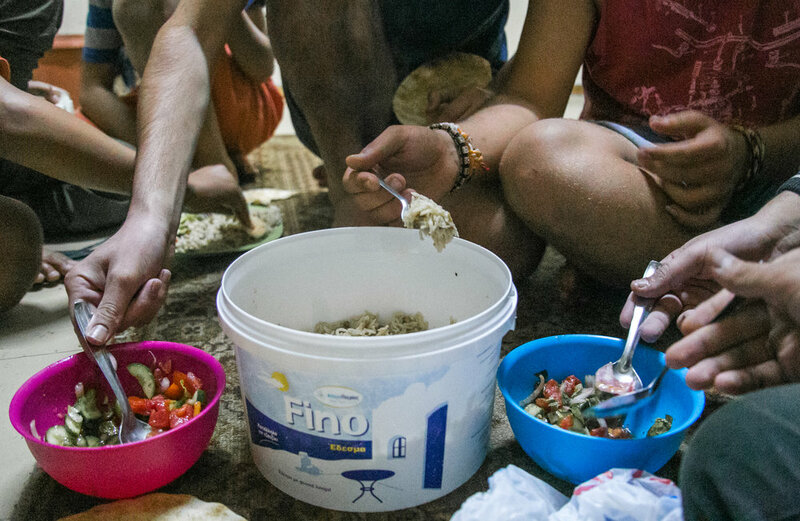 "They give us rabbit food," one Nigerian refugee said. Volunteers fix a burnt barbed wire fence along the perimeter of the camp. A Syrian boy fishes for dinner as a family of tourists relaxes on their 26-foot sailboat in the port of Mytiline. 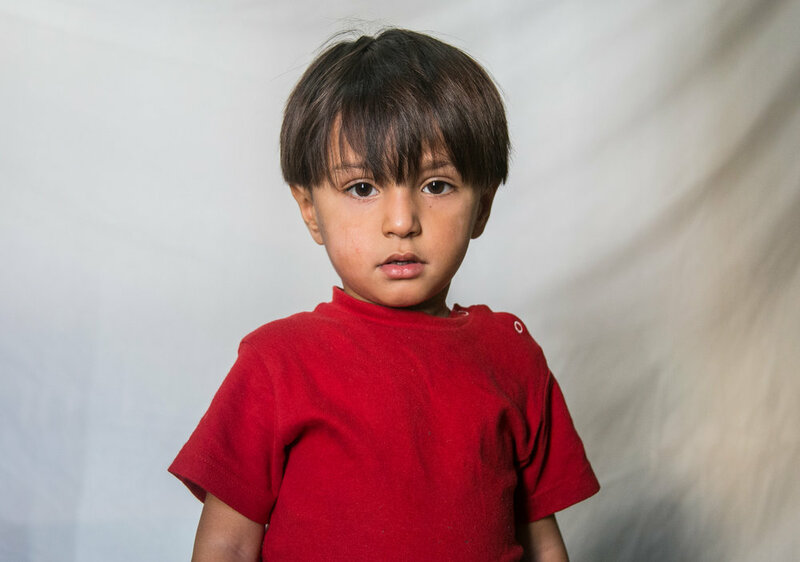 "The food is no good," the boy said as he tapped his stomach and pointed in the direction of the Moria Refugee camp. 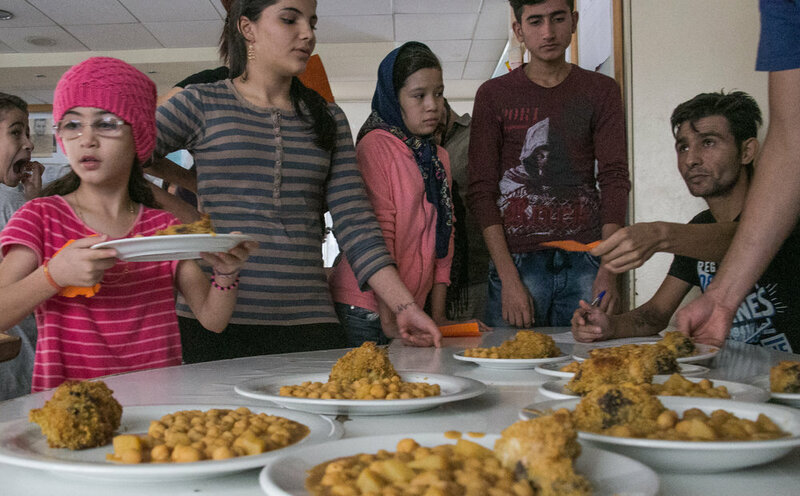 Many refugees walk the nearly 16 kilometer round trip each day in hopes of a fresh catch to feed their families. 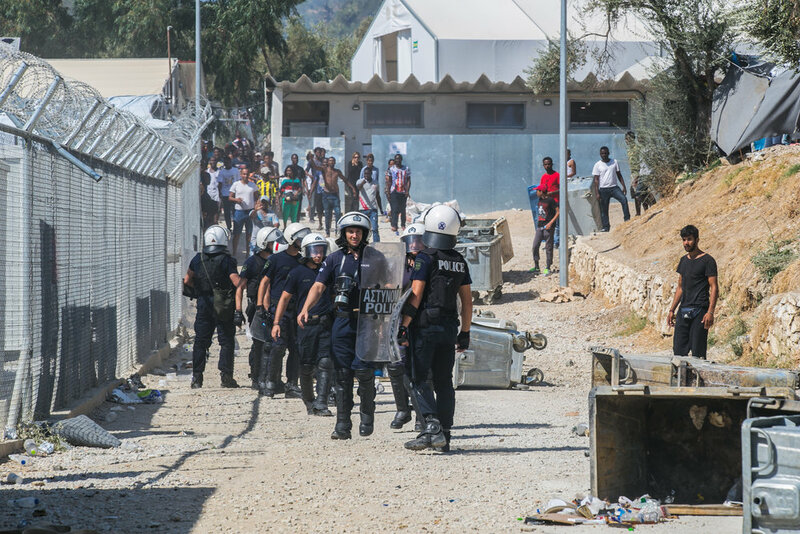 Riot police react as a crowd of Turkish and Syrian refugees begin to throw rocks outside the entrance to a camp in Moria, Lesvos. 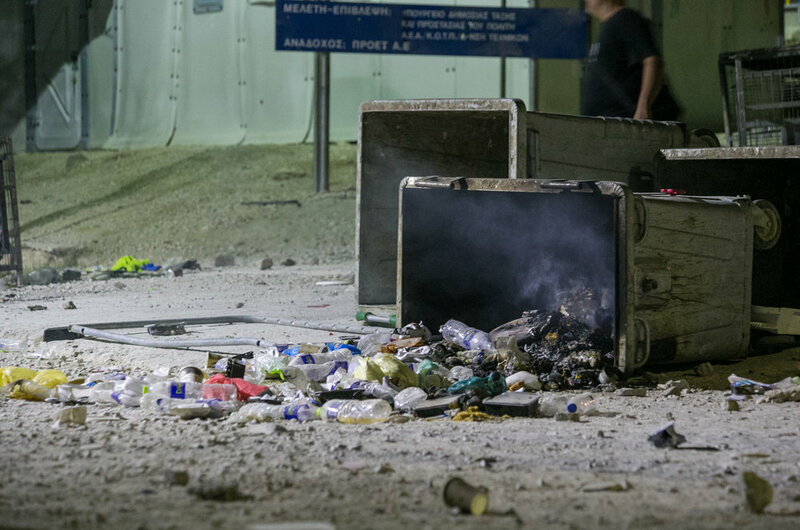 The riot began earlier this morning with refugees flipping dumpsters, lighting trash on fire, and taunting police. After months of decreasing arrivals, Lesvos has seen a fresh influx of migrants due to lax policies, a significant price drop for the voyage to European soil, and unlikely nature of actually being sent back if caught mid-trip. In the past 48 hours, 93 refugees have arrived on the shores of Lesvos, placing the total number of trapped individuals at 5,264, according to police. 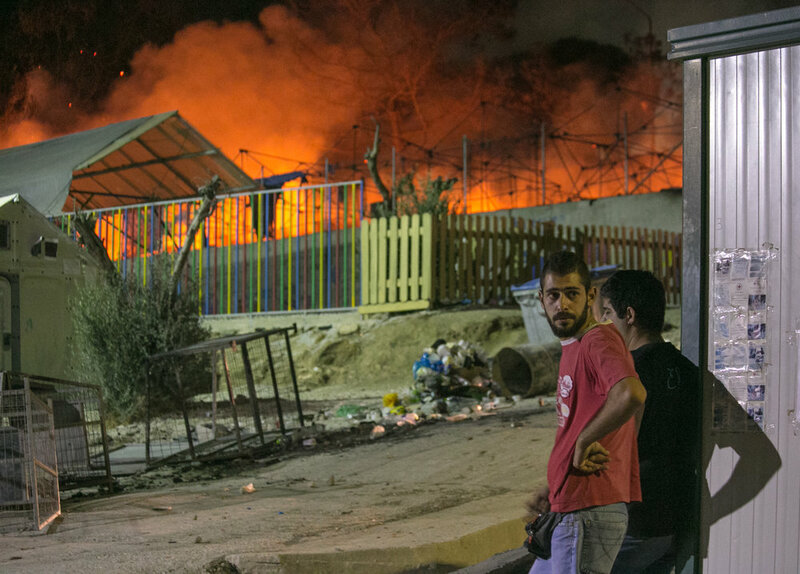 mikeschwarzthekidRiot police react as a crowd of Turkish and Syrian refugees begin to throw rocks outside the entrance to a camp in Moria, Lesvos. 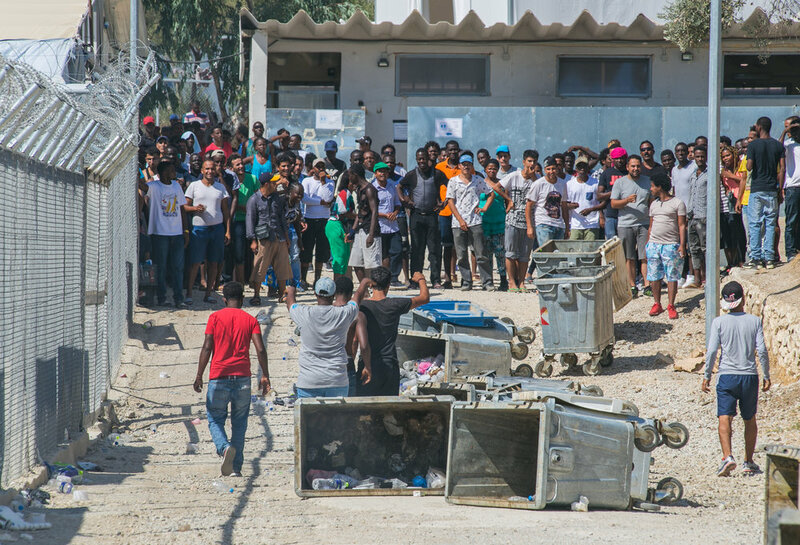 The riot began earlier this morning with refugees flipping dumpsters, lighting trash on fire, and taunting police. 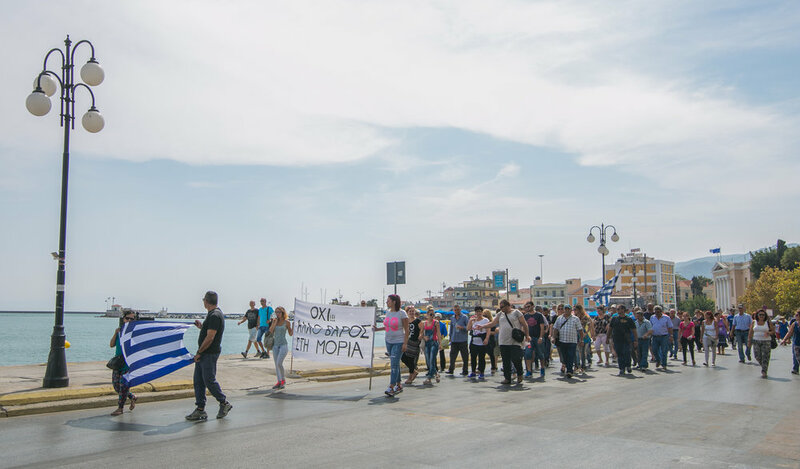 After months of decreasing arrivals, Lesvos has seen a fresh influx of migrants due to lax policies, a significant price drop for the voyage to European soil, and unlikely nature of actually being sent back if caught mid-trip. In the past 48 hours, 93 refugees have arrived on the shores of Lesvos, placing the total number of trapped individuals at 5,264, according to police.